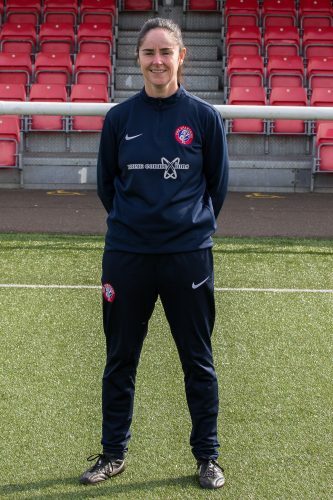 Spartans have unveiled their new look Coaching Management Team ahead of the restart of the Scottish Women’s Premier League. 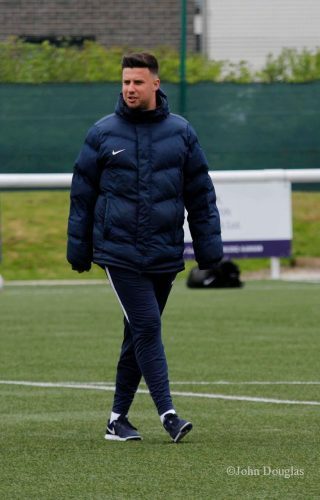 Returning to the helm is Debbi McCulloch whilst outgoing Head Coach Paul Greig takes up a further internal coaching role within the Spartans Family, where he will assist the Men’s Under 20s team during their 2018/19 campaign. Joining Debbi in the dug-out will be Assistant Head Coach Scott Noble and Coach Craig Booth. 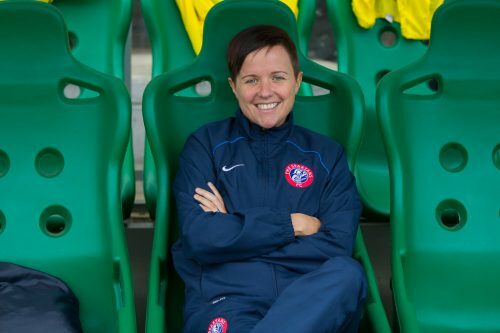 An exciting opportunity has arisen to join SWPL 1 side Spartans as Head of Goalkeeping Coach. 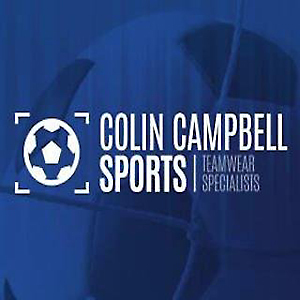 Minimum qualifications Goalkeeping Level 2/Disclosure Scotland PVG Certificate, Preferred qualifications Goalkeeping Level 3/UEFA B Licence. 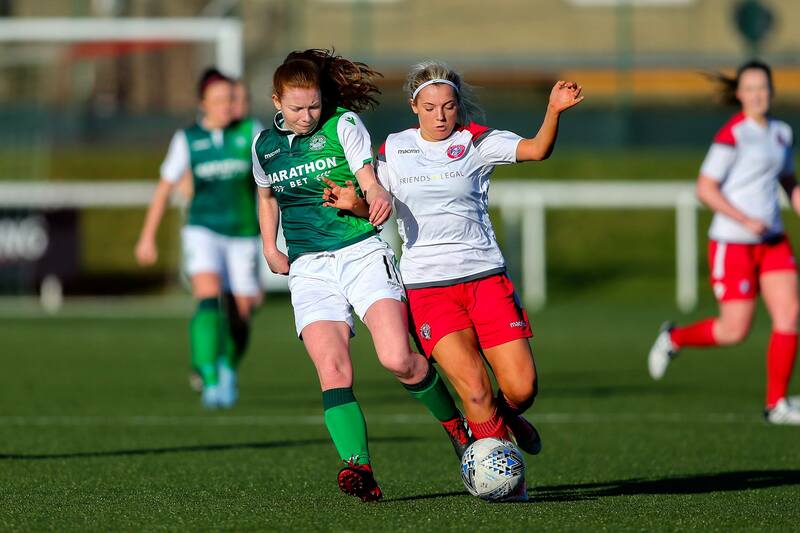 Scottish Women’s Premier League football club Spartans Women is delighted to announce an apparel partnership with global sports brand Macron. 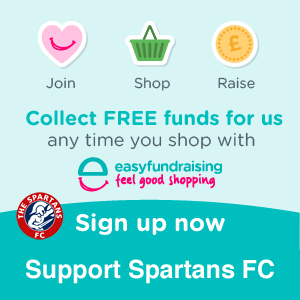 The kit partnership will see Macron supply playing jerseys and training wear to players, coaches and club members across the Spartans Family. Spartans Women FC, formed in 2008, will continue in our traditional colours, wearing a white and red Macron Titan jersey throughout the next two seasons for home fixtures, whilst choosing the royal blue and white Titan jersey for the away jersey. Additionally, we are overjoyed to announce a new five figure two-year shirt and training kit deal with specialist personal injury law practice Friends Legal. 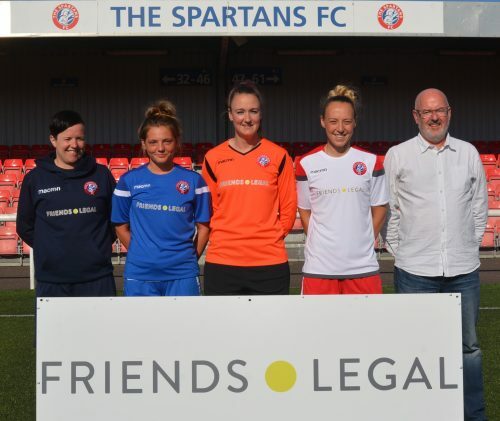 Spartans players Rachel Harrison, Alanna Marshall and Michaela McAlonie met this evening, at Ainslie Park, to launch the new deal which will provide important backing to the team as they look ahead to the next two seasons. This week Suzy Shepherd made the difficult decision to step down from her role as Head Coach of Spartans.